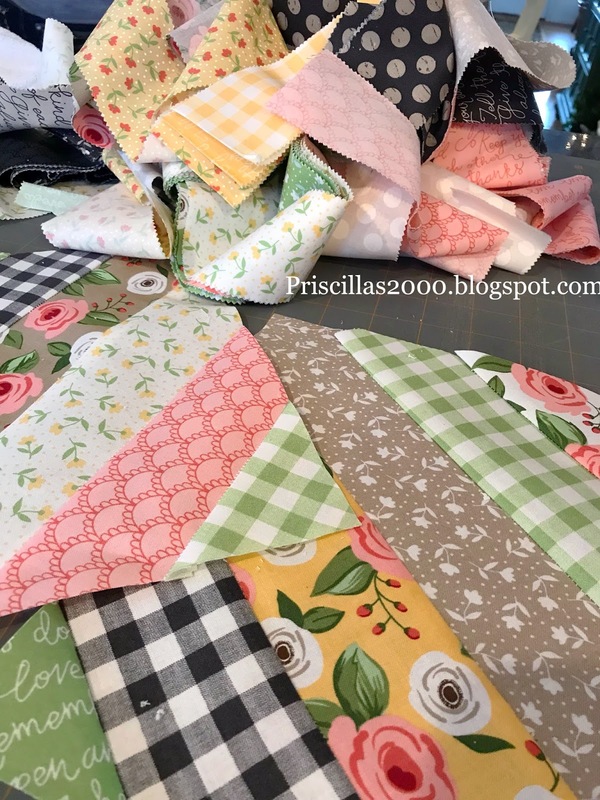 For someone who said they weren't going to make a quilt, I am so glad to read that you are planning your next one! :) Both of you are doing a fabulous job! 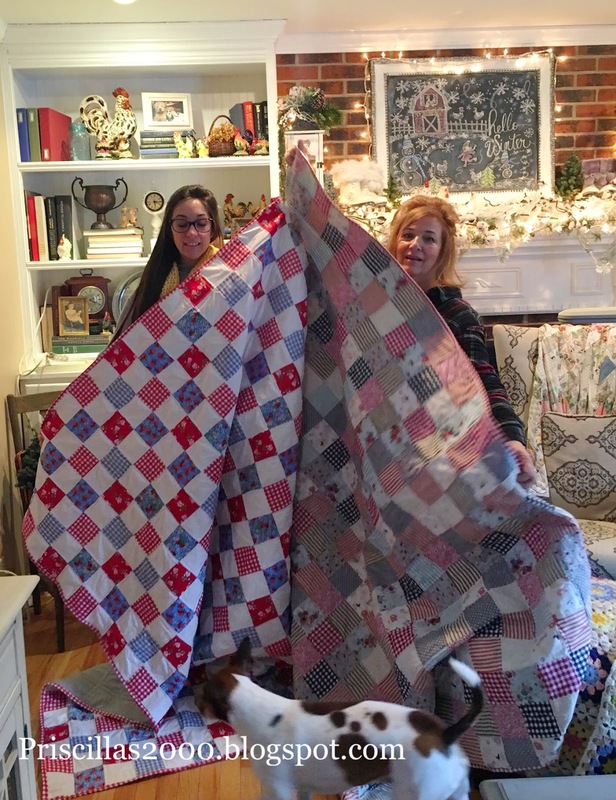 I am not a quilter but 2 of my sisters are. You do beautiful work whatever you do. 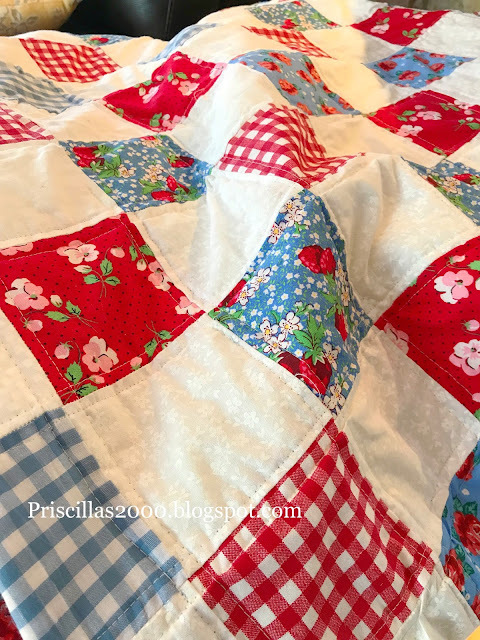 I have read all your old blogs and you went from crocheting to cross stitch to blackboards to quilting. Love all your crafts!!! Your cookies are to die for! See you tomorrow on YouTube! Love, love! You have inspired me to go back to crosstitching after 20 years. I didn't even know we had an LNS in my town. When I asked how long they have been here, they said , "13 years." ha! Then I started teaching myself to crochet because of you. And now I want to quilt. Where do I begin? What YouTube videos would be great ones to start watching. Love your work!!! And Chelsea's! As usual, y'all, darling work. 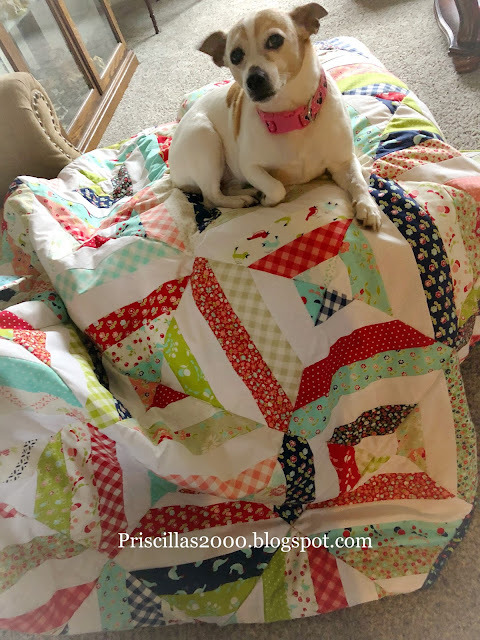 What did the girls think of their quilts? 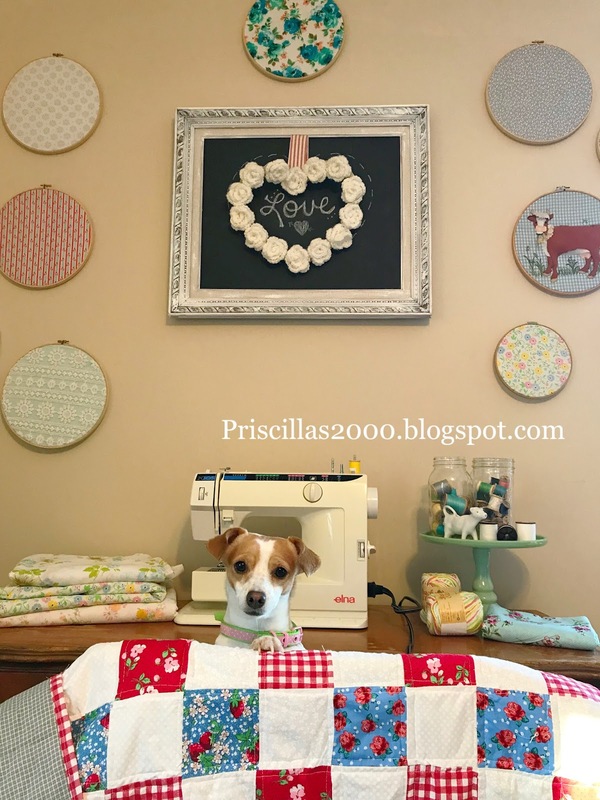 I love how you're getting into quilting... 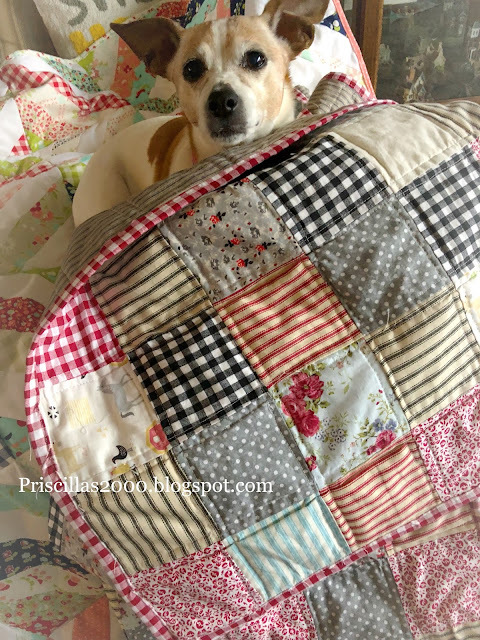 Even though you said you weren't going to get into quilting! Absolutely love, love, love your quilts! That scrappy binding is perfect, and I love that backing fabric too! 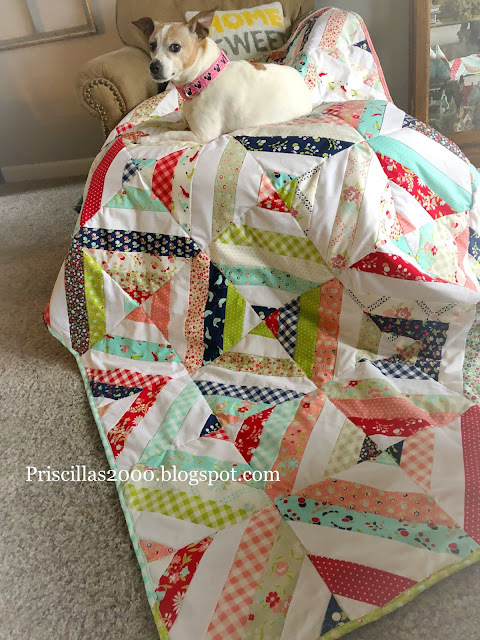 Yay for quilty finishes!! Just love you both! You two are amazing! 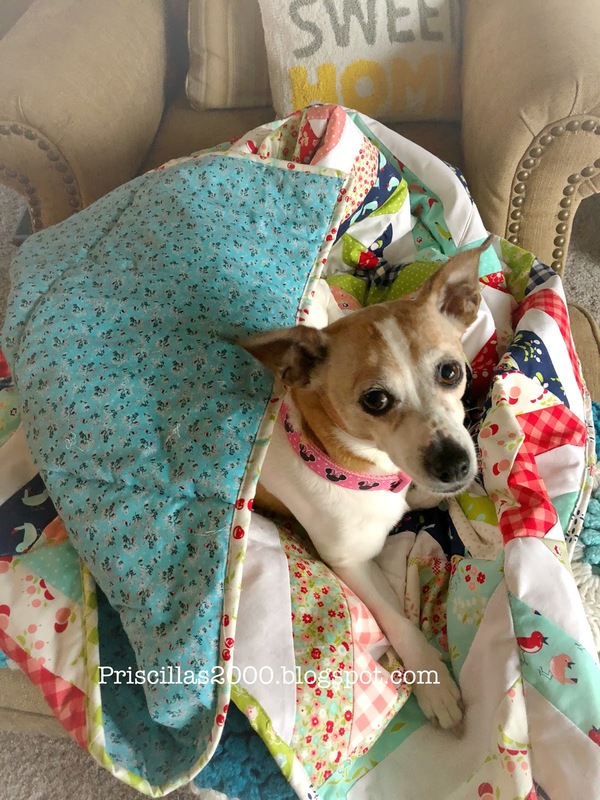 Can't believe you've made so many quilts in just a few months! I need to figure out a way to retire so I can catch up with you! Have loved reading your blog for many years, and now I enjoy following you on FB, IG, and of course YT. You guys are my favorite part of Saturday. Enjoy your weekend! What a beautiful and fun post! And what a team:) with Ronnie and Daisy cheering you on:). Love the material you use too. Priscilla and Chelsea, you two are like the dynamic duo! Love watching you on Floss Tube and seeing all of your beautiful cross stitch and quilts. Thank you for inspiring us all! My favorite season to stitch is Spring. #3 chart. You two are becoming quite the great quilters!! 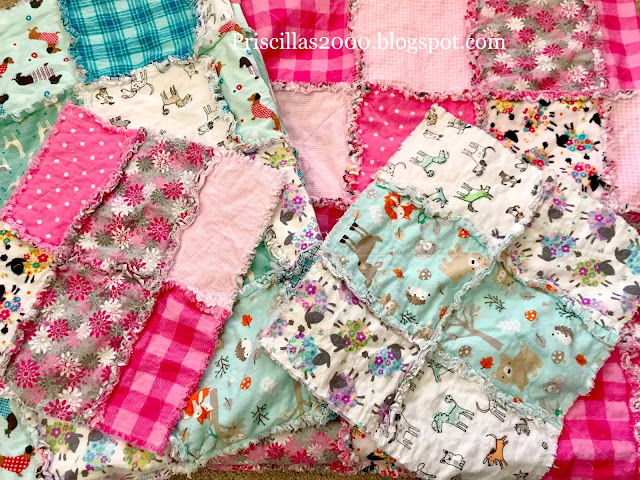 The Rag Quilts are so very gorgeous! You and Chelsea make it look easy! Thanks for sharing!